CBT is an empirically-supported approach to reduce anxious distress in youth. 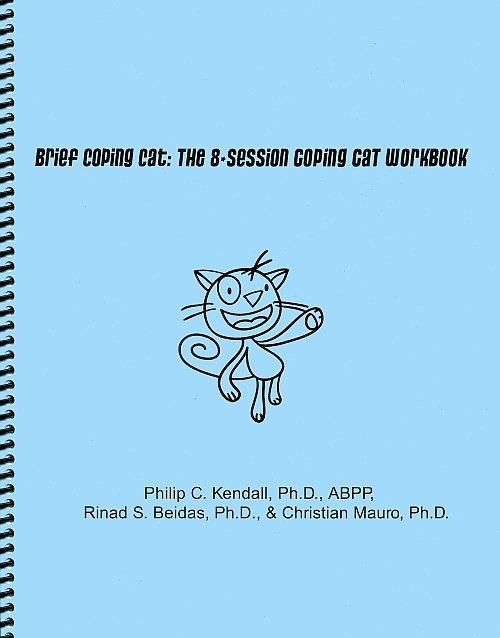 This newest version of CBT is BRIEF, reducing the 16-session Coping Cat program to 8 sessions. As in the 16-session Coping Cat program, the sessions teach about anxiety and its management, and promote coping skills for dealing with anxiety. Exposure tasks remain critical to favorable outcomes and are introduced early in the Brief Coping Cat Workbook. Appendices include “situation cards” with three levels of difficulty, a “feelings barometer”, as well as other cut-outs and a certificate of achievement.